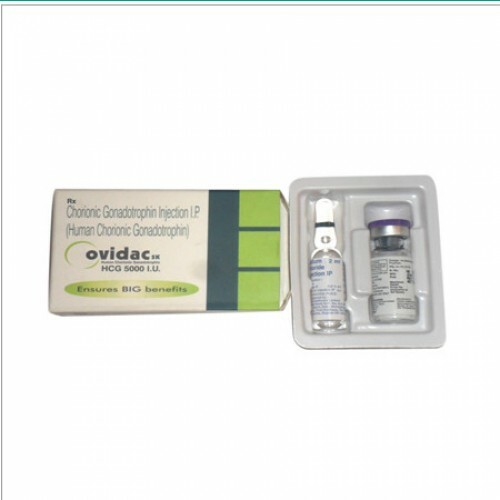 Ovidac 5000iu injection is used in the treatment of female infertility (inability to become pregnant) and male hypogonadism (decrease in male hormone). 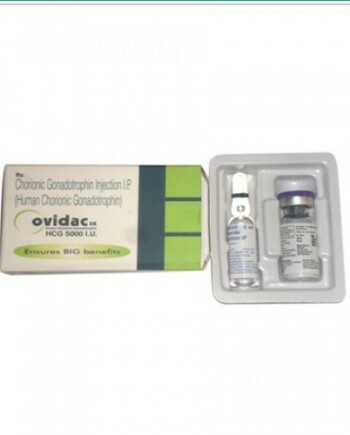 Ovidac HCG is an injection prescribed to adult women who find difficulty in conceiving pregnancy due to some ovulation problem. The reason of this ovulation problem is that the anterior pituitary gland does not function properly and also fail to stimulate the ovaries to start ovulating. 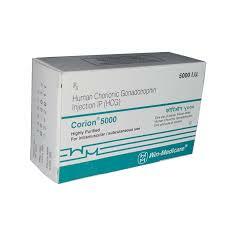 Ovidac 500iu injection should not be given to those patients who have heart disease, kidney disease, cancer, migraine, thyroid, premature puberty, thyroid, undiagnosed uterus bleeding and cancer, epilepsy and an ovarian cyst. 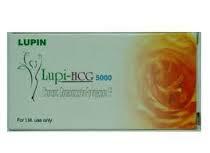 HCG is polypeptide hormone in water soluble glycoprotein form obtained from the urine of pregnant lady. 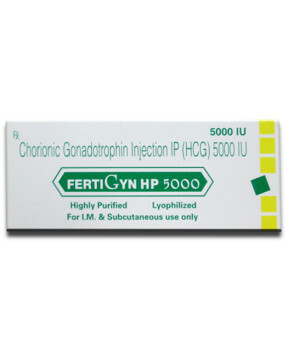 Single injection of Ovidac HCG 5000 Iu stimulates ovulation between 38 to 40 hrs. 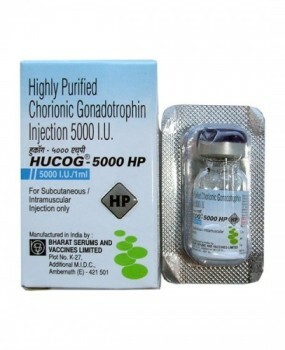 Ovidac (hcg) 5000Iu injection is given into the muscle or under the skin. It can harm both the child as well as the mother, if it is not injected properly.